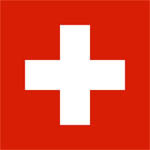 Individuals in Switzerland can now make tax-deductible donations to AMF. Effective Altruism Switzerland (EACH) is able to receive tax deductible donations on behalf of AMF. This allows individual donors to benefit from full tax deductibility when donating a minimum of CHF100. The tax deductibility applies for total donations per year of up to 20% of the donor's gross salary. A small fee of a few CHF, and up to CHF20, is deducted by EACH to cover costs. There also may be a bank transfer charge. Any donation intended for AMF must be accompanied by email notification to EACH and to AMF making clear the donation is intended for AMF.